Welcome to Premier Foundation Repair, Inc. Hundreds Of Other Foundation Repair Contractors Have Come And Gone Over The Last Thirty Years. It is unusual for a foundation repair company to be in business for as long as Premier. The clay soil in the Dallas / Fort Worth area creates significant problems for the foundations of homes and commercial buildings. Our climate places consistent stress on your foundation: the soaring temperatures of summer and the dramatic changes in rainfall cause the soil to expand and contract. As the ground expands and contracts, building foundations can crack and shift under the pressure. In dryer conditions throughout the year, the dry wind and can cause soil to shrink beneath your foundation. 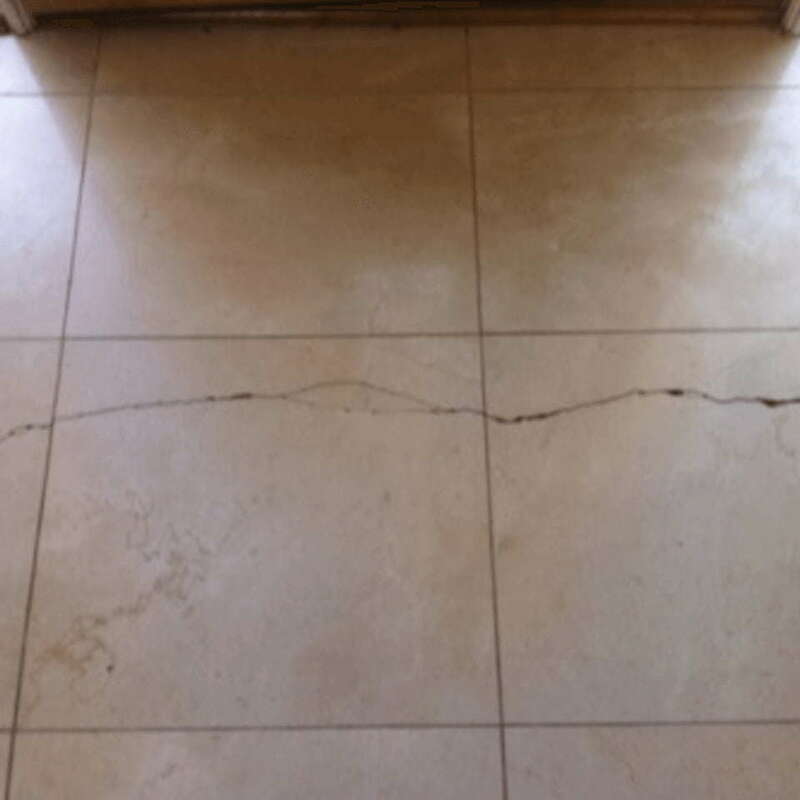 When your concrete foundation can’t expand and contract with the clay soil underneath, the additional stress may cause cracks to appear throughout the structure. This is called perimeter edge drop. Soils begin to dry around the edge of your house perimeter. Unless you identify and fix the causes of these cracks, they can get worse rapidly. When a plumbing leak occurs under a slab, moisture is added to the soil. As moisture is added to the soil from the leak, soil and foundation movement often result. The amount of movement depends upon soil type, soil expansiveness, soil density, soil moisture content before the leak, and other factors. Sanitary sewer systems and domestic water supply tests should be performed if distress symptoms are present. If rainfall runoff is allowed to pond or collect adjacent to a structure built on expansive soil, the structure may be subjected to distress caused by the soil beneath the structure swelling as a direct result of increased soil moisture content. Insufficient steel and poor concrete can contribute to movement in the slab. The constant shrinking and swelling of soils due to moisture content is one of the most common issues in the Dallas area for foundation problems. 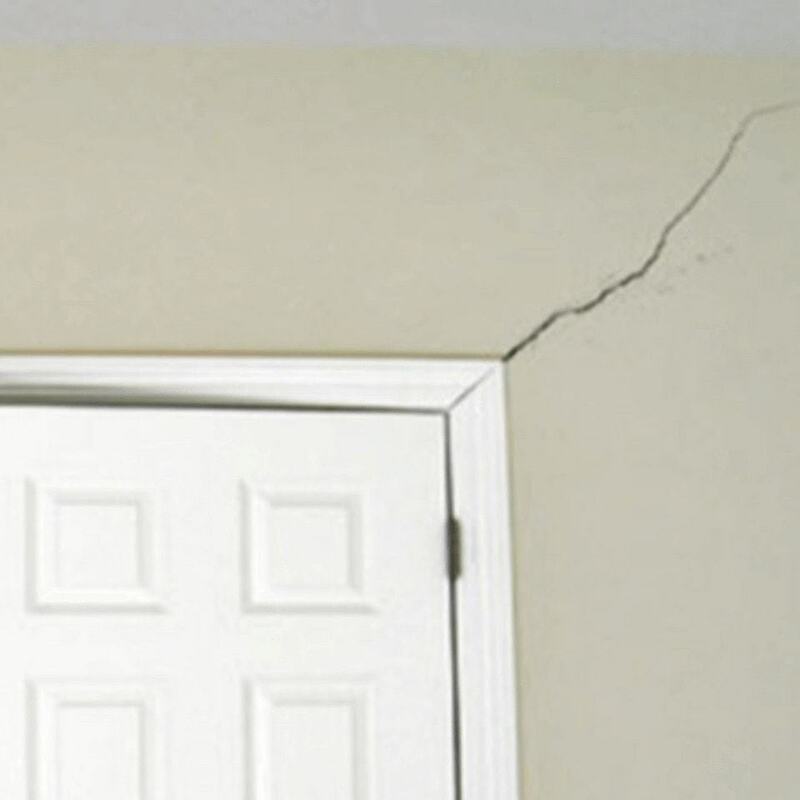 The most common warning signs of foundation problems are usually when your home experiences garage door separation, floors bowing or sinking, cracks in drywall or ceilings, doors or windows sticking, fireplaces pulling away and/or brick veneer cracks on the outside of your home. Floor Coverings display cracked tiles, gaps in wooden floors, or creaking noise. 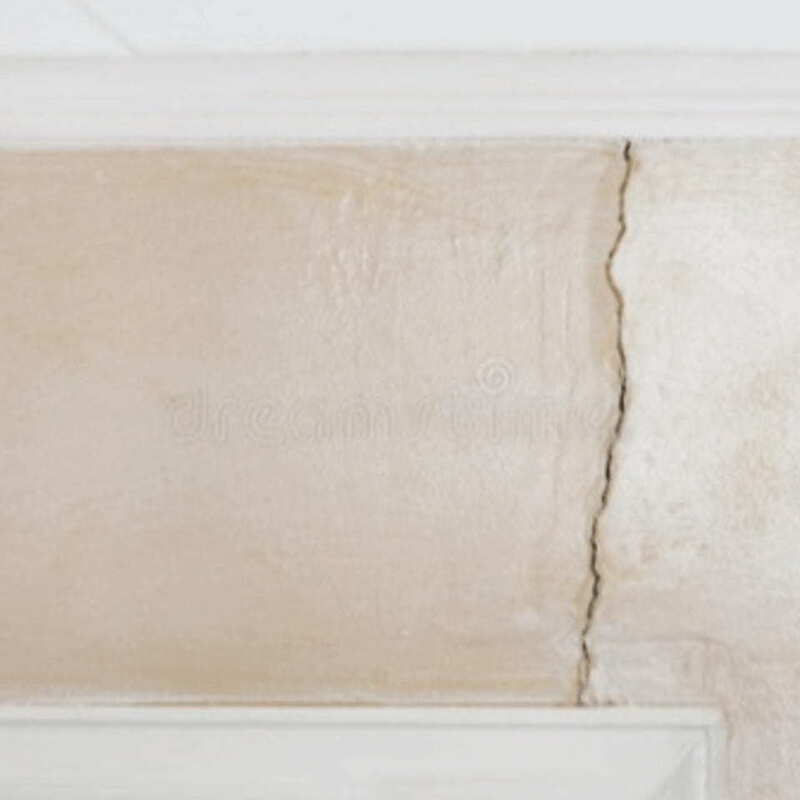 Drywall has cracks in walls and ceilings - indicates the house is shifting. A garage door frame will begin to separate from the home causing large gaps between the frame and the home. 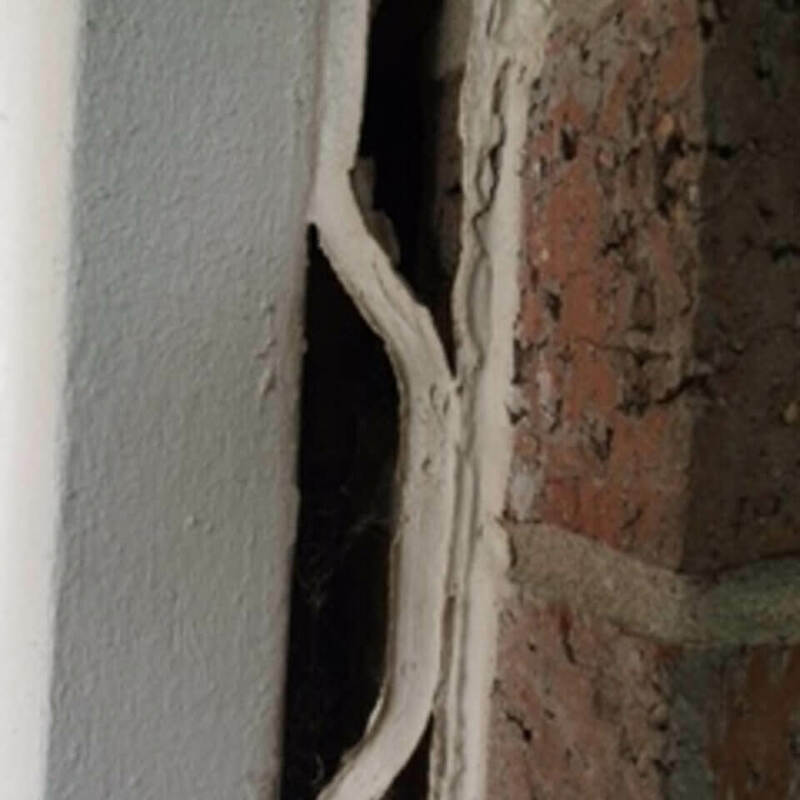 Brick expansion joints show signs of foundation failure when they begin to separate from each other. 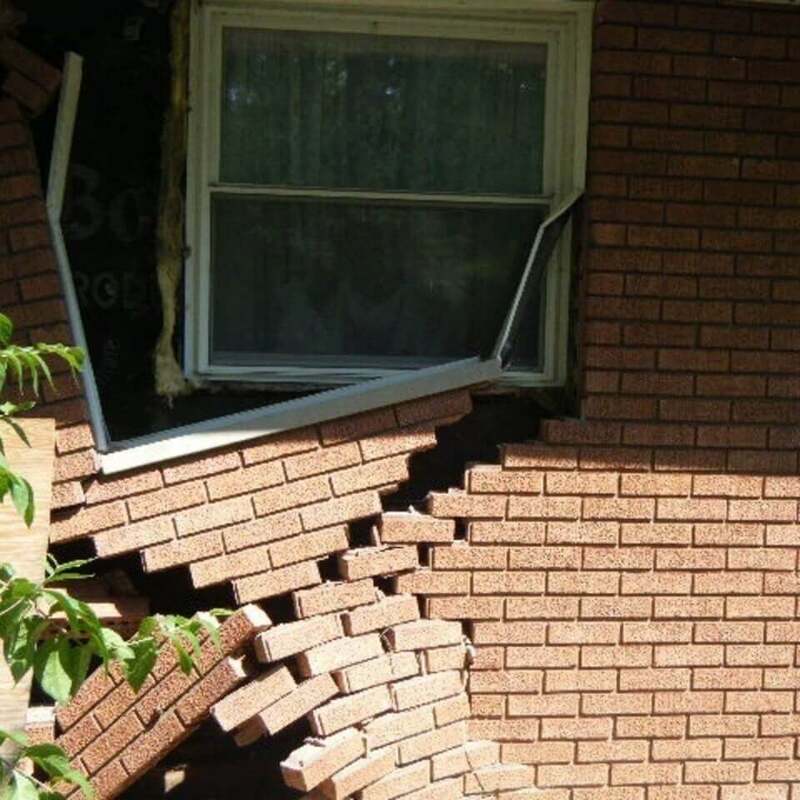 If you wait to long to fix your foundation this is what can happen. We completed THEIR foundation repairs. We can help you estimate your current situation. We have seen and fixed a lot of foundation problems in DFW, from large commercial structures with extensive amount of repairs needed, to the smallest of residential problems. If you suspect having foundation problems, you are not alone. 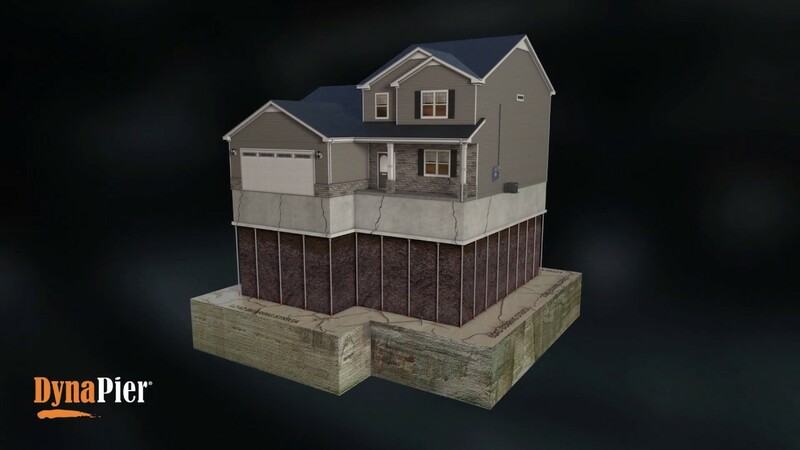 We can help get your home foundation in the Dallas/Ft. Worth Metroplex area fixed!